Here are some great events you won't want to miss. Event type: Networking and resource collaboration for enhancing Oklahoma’s entrepreneurial ecosystem. Entrepreneurial catalysts, resource providers, and capital partners are invited. Event date & time: 11:30a.m. - 1:30 p.m., Wednesday, March 20, $19, Lunch included. If you have questions about events? Please use the link included in each event. Do you have questions about OVF membership? Please reach out to me, I am always happy to help. Have an event, class, or workshop to Share? James J. Linhardt is a corporate and securities attorney with Kunzman & Bollinger, Inc. James has experience drafting registration statements, private placement memoranda, and related documents for publicly registered and private placement offerings including non-traded REITs, mortgage programs, oil and gas drilling and acquisition programs, private equity, and other alternative investment offerings for a maximum of over $3 billion. James also has extensive experience assisting issuers and broker-dealers in preparing and revising offering related sales materials and communications for compliance with FINRA rules and regularly communicates with senior FINRA personnel regarding advertising regulation interpretations. He has experience forming, acquiring, and selling broker-dealers and state and SEC registered investment advisors and also engaging in continuing membership applications on behalf of existing broker-dealers effecting material changes in their business. James also regularly assists clients navigating the regulatory landscape with the SEC and FINRA, including analyses of the SEC’s Bad Actor Rules and preparing written supervisory procedures and ongoing continuing education materials. In addition, James assists clients with general corporate matters such as preparing ongoing consents, board meeting minutes and shareholder voting documents and more complex corporate matters such as developing and implementing cybersecurity policies and procedures, remediating material weaknesses, and preparing and implementing corporate governance committee and audit committee charters. Prior to joining Kunzman & Bollinger, Inc., James was a senior associate in the New York offices of PricewaterhouseCoopers, LLP (“PwC”). While working in PwC’s global transfer pricing practice, James assessed and revised the transfer pricing policies for a global pharmaceutical company with over $40 billion in revenue and entities in over 100 countries, prepared analyses on proposed IRS adjustments in preparation for IRS Appeals Conferences, prepared memoranda and technical analysis for IRS Advance Pricing Agreements, and performed M&A due diligence. James’ experience involved addressing transfer pricing issues related to various transaction types, including IP migration, IP licensing, and factoring for clients in the financial services, technology, pharmaceutical, and consumer goods industries. James is licensed to practice law in Oklahoma and New York (non-practicing) and is a member of the Oklahoma Bar Association, New York State Bar Association, and American Bar Association. James graduated from the University of Oklahoma College of Law in 2013 where he was a member of the Dean’s List in all semesters, a research editor for the American Indian Law Review, a member of Phi Delta Phi honor society, co-founder and president of Law Students for Africa, and recipient of the Savage Scholarship. James graduated from Oklahoma State University in 2010 with a degree in economics, where he was a recipient of the OSU Leadership Recognition Program Award, President’s Leadership and Service Recognition Award, Spears School of Business Scholar Leader award, and was named the Business Student Council Member of the Year. Before he was Lieutenant Governor, Matt Pinnell and his wife Lisa launched Binxy Baby, a company that sells baby hammocks that fit into shopping carts. Today the business is thriving and there are plans to launch two new products later this year. But the Lieutenant Governor still remembers what it was like at the beginning. “The attention to detail when you’re building a business is so important,” he says. In an interview ahead of his presentation at the March OVF luncheon, the Lieutenant Governor shares what those details look like. “I want to help entrepreneurs connect with the resources they need,” he says. For much of Oklahoma’s history, our economic development has been driven by a turn of nature – the existence of large bodies of oil and natural gas located beneath our soil. And the soil itself, providing food, grain, forage for cattle. Hard work was and is required to wrest value from the land, but fortune has helped us. But everyone acknowledges that if we can diversify our state’s economy, we will be less susceptible to the vagaries of the price of oil – and entrepreneurship – growing our own businesses here in Oklahoma – is a great way to diversify. Thus I am very excited that our March main speaker is the newly elected Lt. Governor Matt Pinnell. Matt runs a small business with his wife, Lisa, an entrepreneur and inventor, and we are delighted to have both top officials in Oklahoma - Governor Stitt and Lt. Governor Pinnell - as business owners. Without making any claims about the effectiveness of running an elected office/administration as a business, it is clear that being an entrepreneur makes one more knowledgeable about what it takes to be an entrepreneur. That is why I really wanted to have our Lt. Governor speak to the Oklahoma Venture Forum. One of our main goals of the organization is to increase the visibility and, hopefully, the success of our Oklahoma entrepreneurs. And that is made much easier when our government are themselves entrepreneurs. Please be ready to discuss with our Lt. Governor what can be done to improve the business startup environment across the state. The Lt. Governor also oversees our tourism and programs to make Oklahoma a great destination for our visitors. Unfortunately, I will not be able to attend this meeting as I have been invited to participate in a Southeast Asia Fellowship through our US Department of State to teach entrepreneurship in Thailand vocational schools. I look forward to filling you in on my experience and appreciate the support and growth that OVF has provided me. We will also be using the remaining time for a short survey of OVF, our meetings, and what we can do to improve the organization. Please take the time to complete this survey. I look forward to seeing you – and a guest! – at an upcoming OVF event. Remember that if you have someone you feel should attend one of our events, and you cannot afford to bring them as a guest, tell me and I will make it happen. I have never been one to set New Year’s resolutions, but from my experience many people resolve that this the year they will go on their own and start a business. Being involved with entrepreneurs, I certainly want people to start businesses. But I worry that those who start the year with a resolution with have that resolution end up stacked in the corner of the room with the treadmill and running shoes. Part of the difficulty is that when setting a resolution we are quickly struck by the difficulty – and time-consumption – of the resolution. Resolving to lose 15 pounds by jogging, we quickly realize this is going to take a while! And while it is relatively easy to go out and buy the shoes (and kind of fun), it does not make it any easier. Likewise with starting a business. Sure, you do the structural work of hiring a lawyer to set up your LLC, put together a business plan, do market research, but none of those things make it any easier to find a stranger willing to part with money for your product or service. This year – turn your resolution on its head: start by selling something, and see if it can scale. If not, end it without doing all the structural work. To use my jogging analogy, get out there every morning and walk around the block. If after four weeks you are still walking, increase the pace. As we get further into 2019, please continue to seek prospective members for the OVF. Our membership is what makes OVF special. In February, for our luncheon, our Main Speaker is Brian Byrnes, Senior Vice President, Sales and Marketing, The OKC Thunder. The OKC Thunder help fund the Thunder Launchpad - an entrepreneurial accelerator which is in the process of gathering its third cohort of startups. I don’t think we will see any of the basketball players at lunch, but we will learn why the OKC Thunder are involved in entrepreneurship. Our Short Presenter is Leo Clarke​, Paelode Systems​. Paelode System provides IT solutions for Oil & Gas Industry, including lodeX — their flagship, end-to-end, electronic ticketing and data workflow solution. lodeX resolves the problem of managing wastewater disposal generated during the production of oil and natural gas. I hope you attended and enjoyed our After Hours event on January 23rd at Vault 405, a Coworking space in downtown Edmond. I look forward to seeing you – and a guest! – at an upcoming event for OVF. Steven Brooks is the CEO and President of The Brooks Group, LLC, a business advisory firm that provides business valuation, succession planning, business transaction/mergers & acquisitions (“M&A”) consulting, and an array of other advisory services geared to meet the strategic needs of its clients. In his role as CEO/President, Steven Brooks brings over 20 years of experience gained working in both the corporate and non-profit worlds, utilizing a wide variety of practical industry experience in the work that he performs at The Brooks Group. Before founding The Brooks Group, Mr. Brooks was the Associate Director & Legal Counsel for the American Choral Directors Association (ACDA), where he worked with the organization’s national and regional officers on a variety of matters and issues, including contract negotiations and operational issues of the organization. 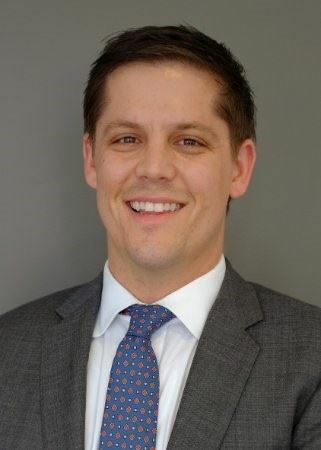 Before his time at ACDA, Mr. Brooks worked both as a Business Analyst and Corporate Attorney for Kaneb Services, Inc., where he was involved in a wide variety of projects, primarily in the areas of corporate development, mergers, and acquisitions. During his tenure at Kaneb, Mr. Brooks was deeply involved in corporate acquisitions, research, industry analysis, and internal growth initiatives, including the acquisitions of companies such as Ellsworth Associates, Double Eagle Communications and Cabling, and Nybor. Mr. Brooks worked directly with members of the Kaneb Board of Directors and with the presidents and officers of the company’s operating divisions on a variety of internal development initiatives including strategic business plan development, strategic alliance initiatives, and numerous other internal and external development projects. Mr. Brooks’ extensive industry experience is coupled with a broad education grounded in the areas of business and law. 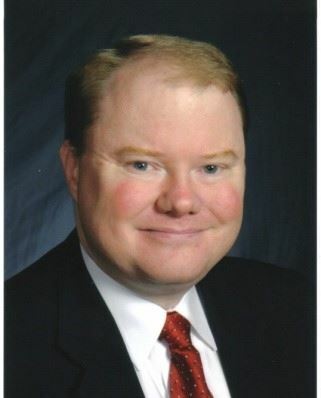 Mr. Brooks received both a Bachelor of Business Administration and Juris Doctor from The University of Oklahoma, and an International Master of Business Administration from The University of South Carolina. Mr. Brooks is also a Certified Valuation Analyst (CVA) and is accredited through the National Association of Certified Valuators and Analysts (NACVA). Mr. Brooks is a member of the Oklahoma Bar Association, the District of Columbia Bar Association, The Oklahoma County Bar Association, The Rotary Club of Oklahoma City (Club 29), the Board of Advisors of the Greater Oklahoma City Chamber, and Leadership Oklahoma City. Mr. Brooks also serves on the Finance Committee of the Homeless Alliance and is Vice-President/Secretary of the Men’s Dinner Club of Oklahoma City. To make the Launchpad a reality, the Thunder has teamed up with StitchCrew. This is a company that helps technology minded entrepreneurs launch their ideas and obtain venture capital. So far, 18 have passed through the program; another group is being vetted to begin in the spring of 2019. The participants receive a space in which to work as well as other needed resources. They also are matched with mentors.